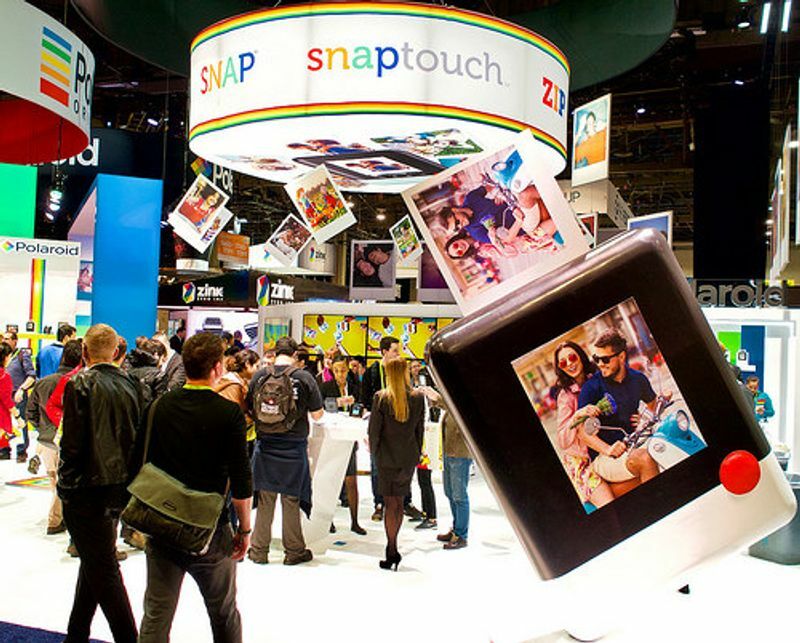 The Consumer Electronics Show was designed to be ahead of the curve, and it works hard to stay there. 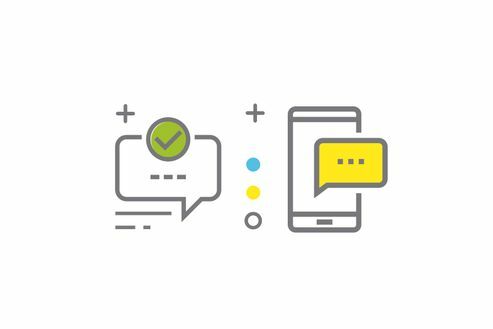 One way is by spreading bets across every possible emerging technology – promote them all, let the market decide and then share credit amongst the winners. The marketplace is harshly Darwinian with massive rewards for the organizations that get it right – the tech, the timing, the message. Those that miss the cycle end up as a tech trivia answer. 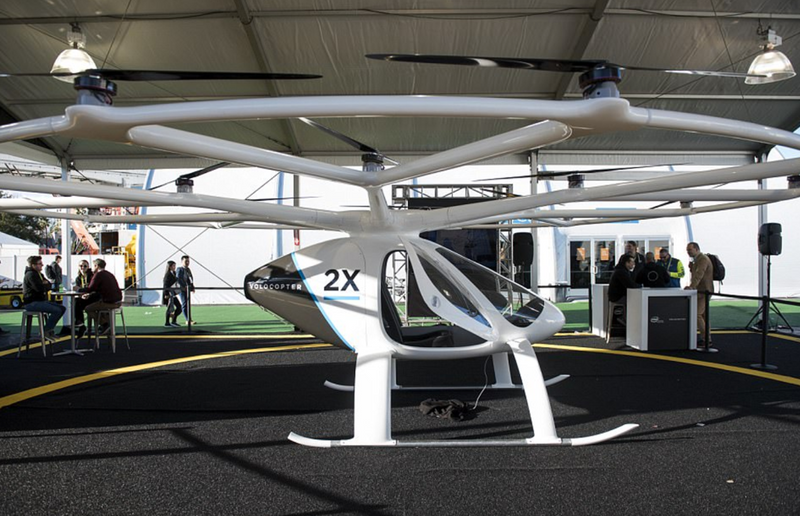 Over the years, CES has birthed, grown and killed several tech cycles. After the collapse of the Comdex computer trade show, CES graduated from VCRs to became a computer show. 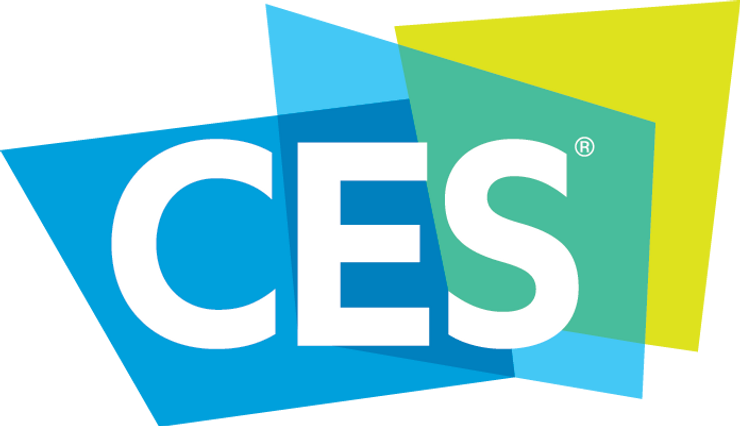 As that industry culled and consolidated, CES became the mobile phone show with every major handset launch taking place in Las Vegas. 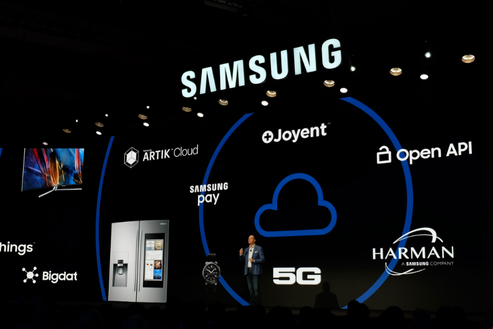 When Mobile World Congress became the flagship event for mobile phone technologies, CES moved on and began to attract automotive brands. Now they may be moving on with Audi, who was one of the first auto brands at CES, notably absent in 2018. 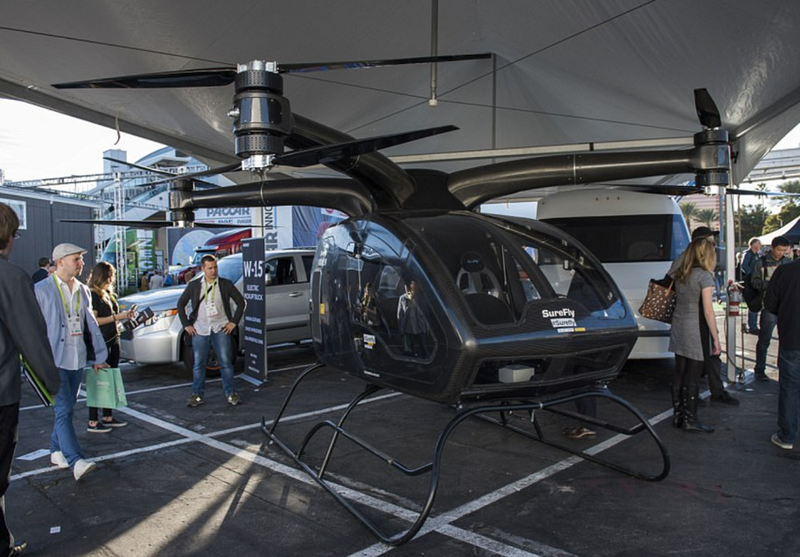 While CES has always been a big show, spreading 4,000 exhibitors among 11 venues throughout Las Vegas made it feel disjointed and less coherent. Trying to visit LVCC, Sands, Aria, Westgate, Venetian, Monte Carlo, Renaissance, Palazzo, Vdara, Wynn and Encore is impossible with 186,000 visitors crowding the taxi lines. And with 20,000 press releases in one week, it has become more difficult than ever to break through the clutter. This year at CES a lot of focus was on technologies that have not emerged into consumer businesses yet (and they are all two character acronyms): VR, AR, AI, 5G. The enabling technologies and supply chains for these capabilities were on display even if finished products were not. We may be in between big trends as we line up all the parts and pieces (literally) that are needed for these to succeed. There was a new hall added to the Convention Center, the South Annex, which included exhibitors that had been at the Westgate in previous years (the Westgate has become “Connected Cities” exhibit area.) This South Annex was dedicated to sourcing and design, a necessary intermediate step to bring new technologies to market. 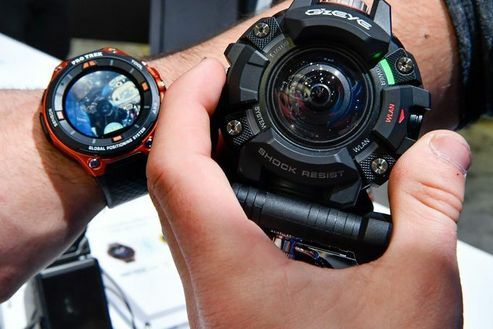 There is one category, however, that seems to be evergreen at CES – displays. 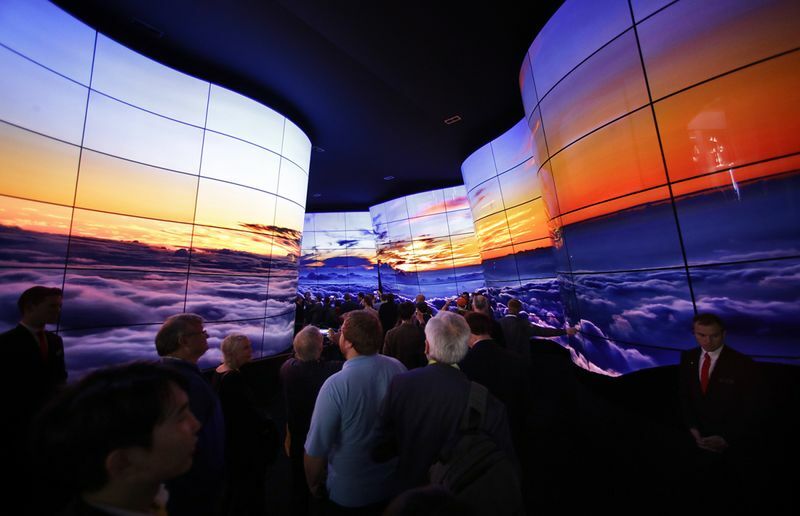 The annual arms race of larger, thinner and higher resolution displays was on display (ha!) 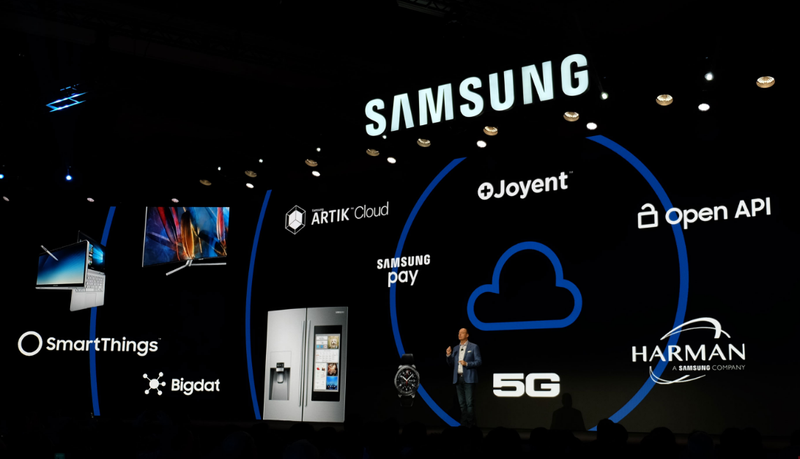 in force with LG and Samsung battling head to head. LG was showing a rollable OLED display that can be bent and curved. LG built a unique, immersive installation out of 246 OLED displays in convex and concave configurations. The memorable 90 foot long canyon includes imagery of forest, glacier, waterfall and blizzard, which is enhanced with Dolby Atmos audio. 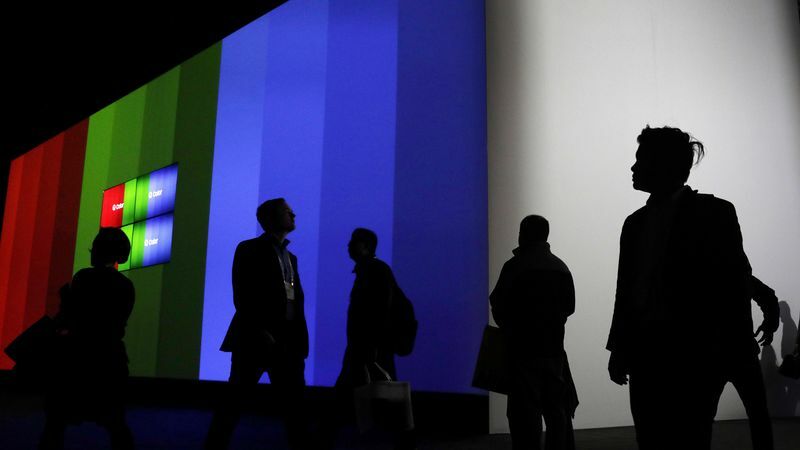 Samsung was showing an installation called “The Wall,” which turned heads with a 146-inch display utilizing MicroLED technology that is supposed to ship by year end. And both companies showed 8K TVs with extraordinarily detailed imagery. It is worth remembering, however, that there still isn’t any 4K content available via broadcast, and 8K is even farther away. 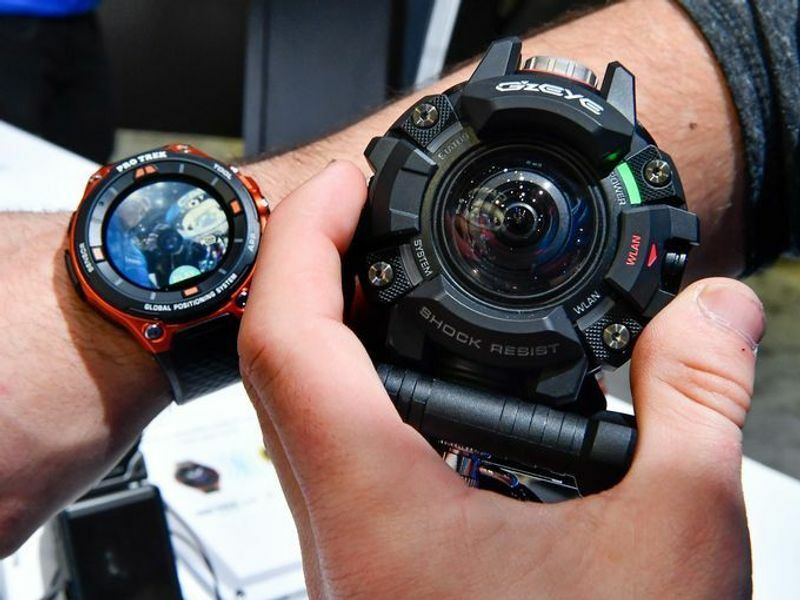 But ogling the big displays at CES is an annual rite of winter. 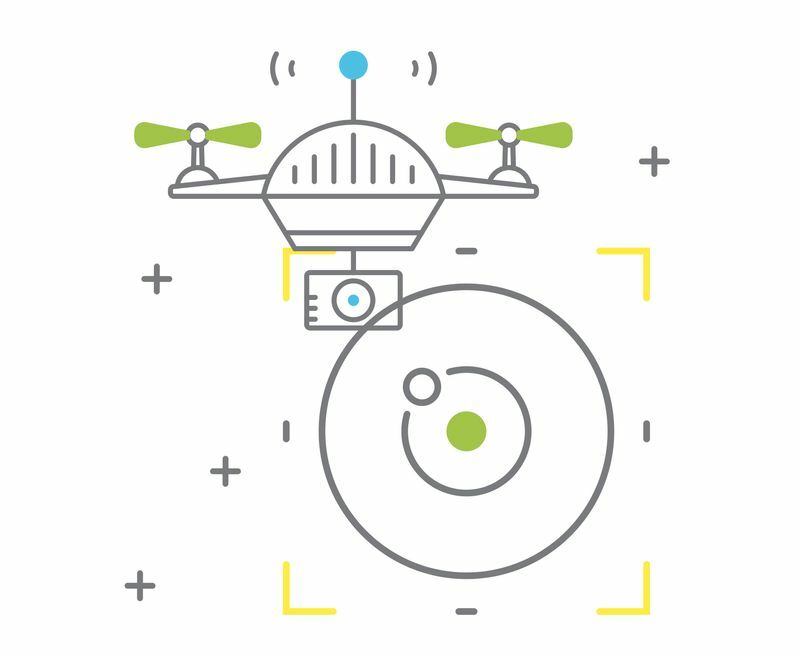 In 2018, the mature category was flying drones. 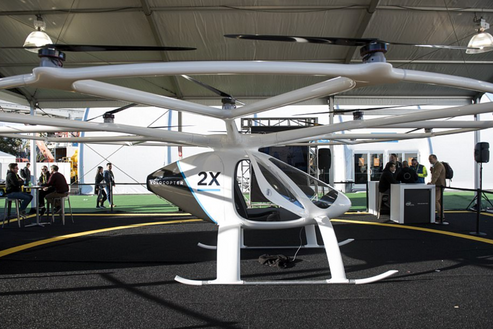 There were a ton of drones on display with a variety of applications. 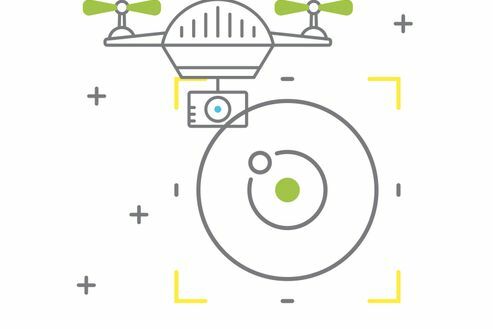 There are selfie drones, search and rescue drones, racing drones, kids drones and even crop dusting drones. And if you needed further evidence that this category has maxed out, it was the appearance of three (!?!) 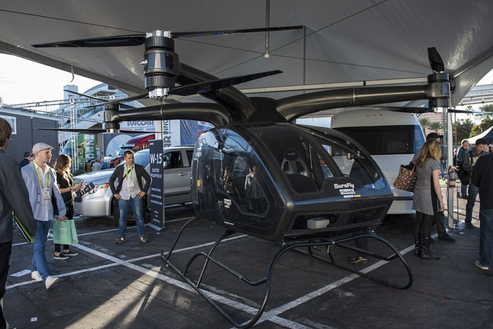 full scale person-carrying quadcopters.The one emerging drone technology appears to be underwater drones, both autonomous and tethered camera vehicles. One on display was an autonomous underwater drone that will follow you around and take selfies while you are snorkeling or diving. 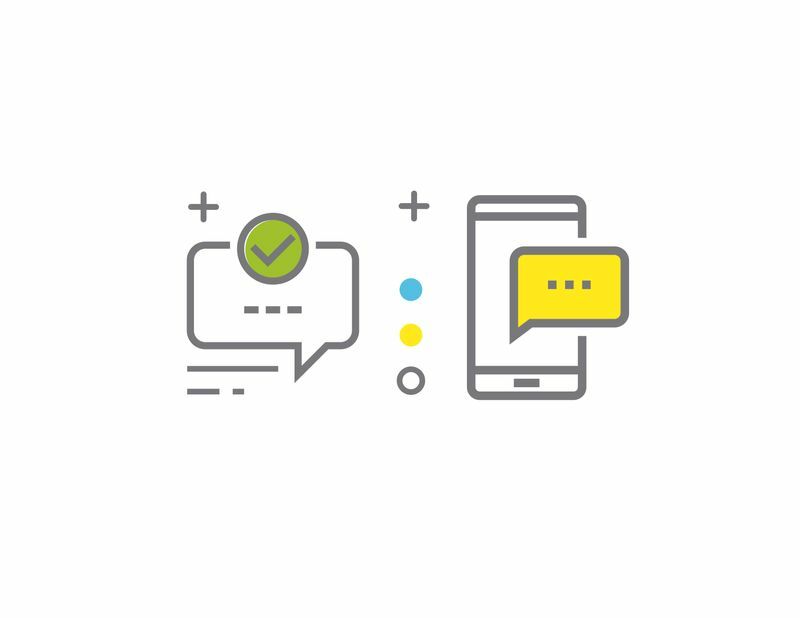 The top technology that is still in growth mode is the Voice Controlled Assistant. 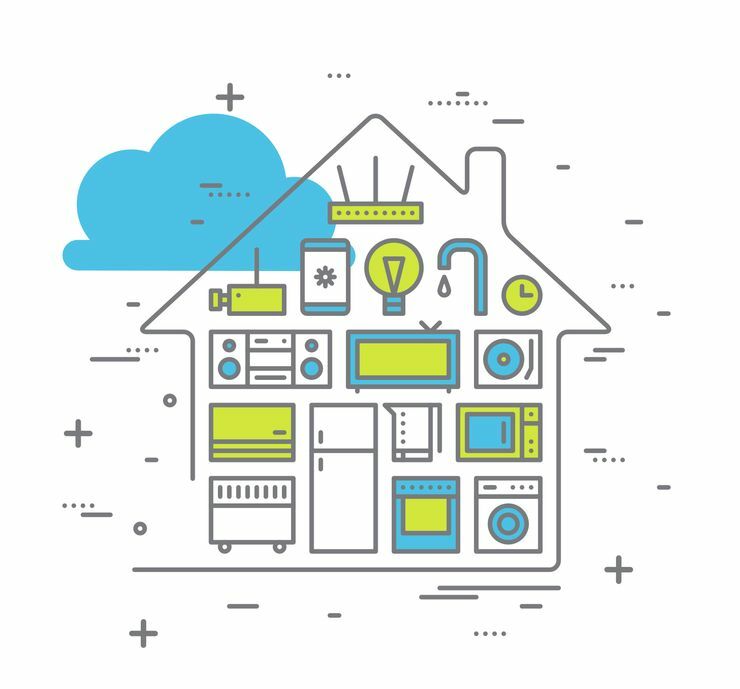 Amazon’s Alexa demonstrated new integrations (skills) extending functionality deep into the smart house category with shopping never far away. Google had a very strong presence at CES for the first time as they went all-in to promote the Google Home product and the Google Assistant service. They had three giant ‘gumball machines’ with a Google Home interface/demo, and every player won a prize – from a Google Home Mini, to gift cards, to a tote bag. Each activation was staffed by 20-25 energetic staffers, in highly visible white jump suits, and they created a lot of excitement and noise. Additionally, Google House in the parking lot outside of the Convention Center was a huge, two-story structure of interactive displays. There was always a long line of folks waiting to get in. 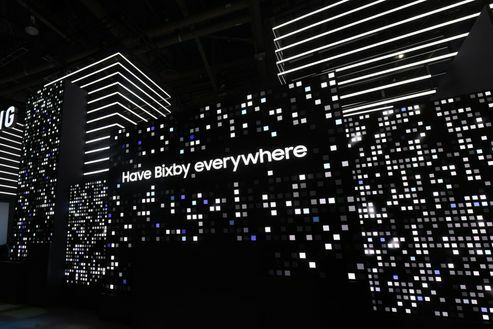 Samsung launched their own voice assistant, Bixby, at the show with integrations into phones, tablets, washers and refrigerators. Likewise, the Apple Home Pod was in evidence in a number of smart home vendors showing new Siri capabilities. Cortana was an also-ran in the voice assistant category with conspicuously little news. And speaking of smart home devices, everything about the home seems to be getting smart these days as the Internet of Things continues to grow. In the Sands Expo Center, the smart home area was overflowing with faucets, showers, light switches, door locks, ceiling fans, makeup mirrors and even toilets. They all claim to have a smartphone app and artificial intelligence capabilities. 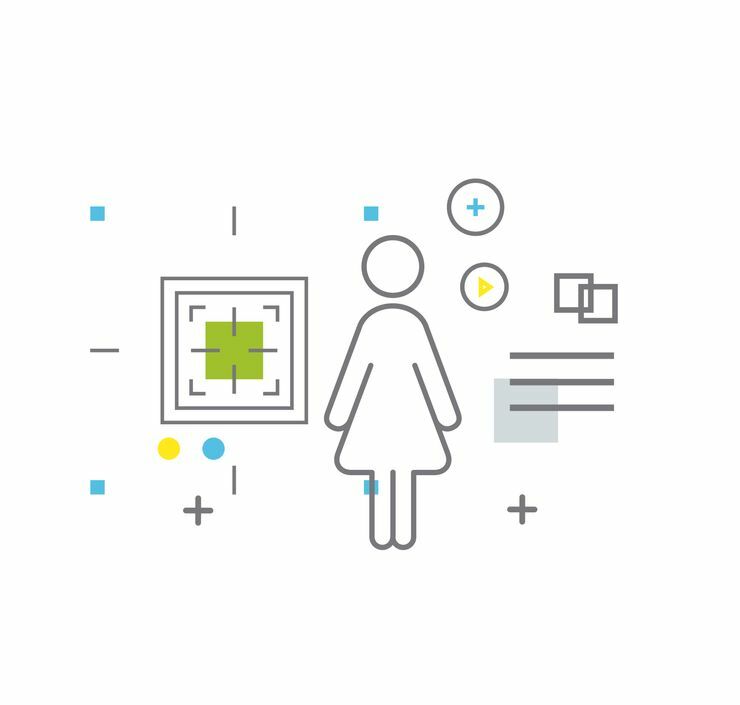 And wearables are another maturing technology, which is evolving from the fitness market into a broader wellness category that is becoming digital healthcare. Many exhibitors were showing products designed for health monitoring of an aging boomer population. There are sensor socks that can detect if a patient is taking medicine, doing exercises or is in distress. Sensors are now found in every kind of garment, hat or helmet. 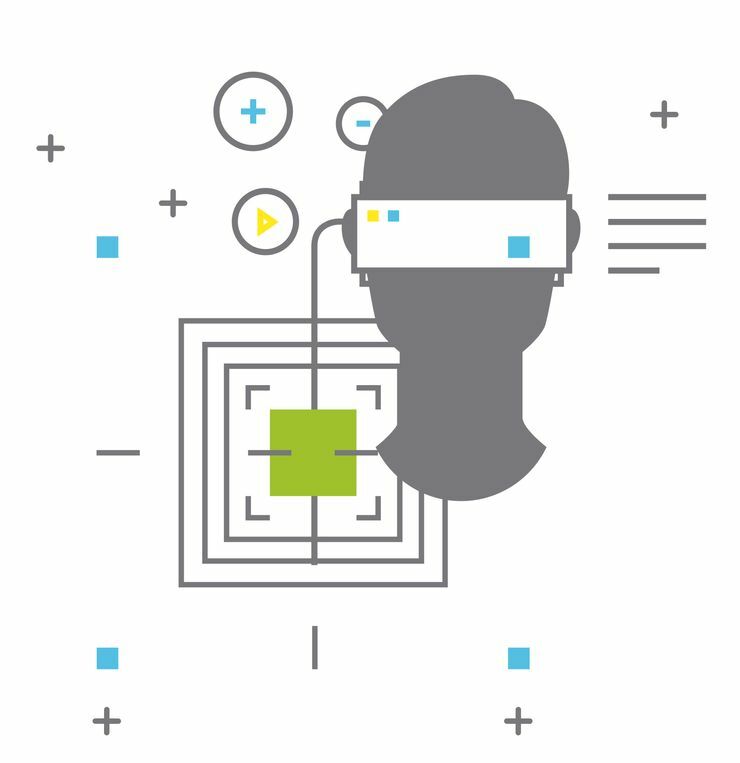 Virtual and augmented reality originally developed for gaming are now being adapted for rehabilitation, pain management and even addiction. Two companies have zeroed in on one of mankind’s greatest challenges – folding laundry. Super simple concept, everyone wants it, but not easy to do. 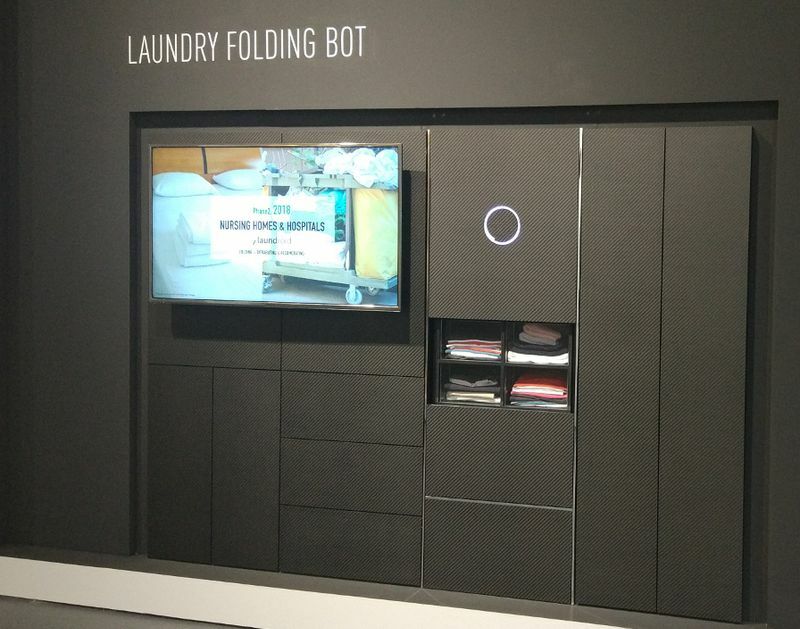 The Laundroid and the Foldibot are two appliances that will take a load of laundry and fold it – sort of. It turns out this is a hard problem as there are many different shapes of clothing, and first you have to identify it before you try to fold it. So you have to remove the really hard stuff like little kids clothes and intimates, and then you have to be patient as this stuff takes time. Oh, by the way, neither appliance is in production yet. I told you it was hard. On a more serious note, it was disappointing to see that CES symbolizes the underrepresentation of women in the industry. There were no keynote speeches by women at the show, and there were still plenty of “booth babes” whose outfits were not likely to have been chosen by a woman executive. In fact, during the show, the hashtag #CESsoMale was trending on Twitter. To see this continued behavior during a time of heightened sensitivity here in the US suggests that we still have a long way to go towards gender equality. Also visible at CES are recognizable brands from previous eras that are trying to relaunch or reposition. Casio was in two halls focusing exclusively on health and wellness. 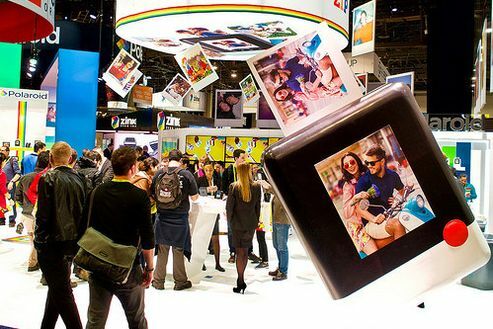 Polaroid has been bought by Impossible Project and is once-again selling instant film. Blackberry is an operating system for autonomous cars. 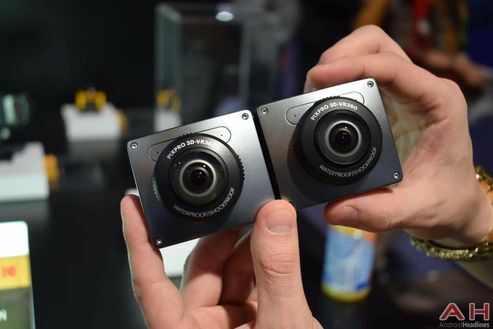 Kodak is selling inexpensive digital cameras. Panasonic has become an ingredient brand supplying technology. 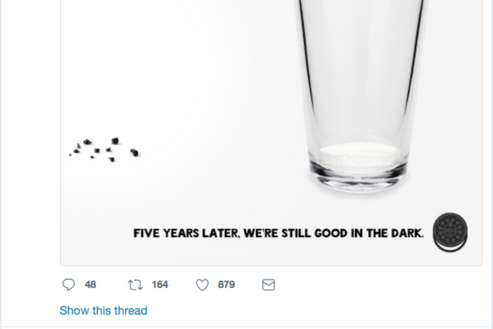 Sometimes these are new ventures licensing an old brand name, sometimes an IP play, and sometimes the last gasp of a once-great brand. 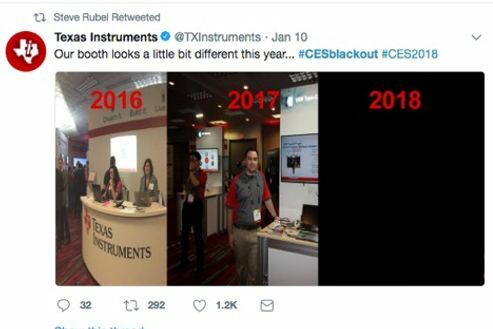 CES 2018 may also be remembered for a couple of things that were not brought by exhibitors. 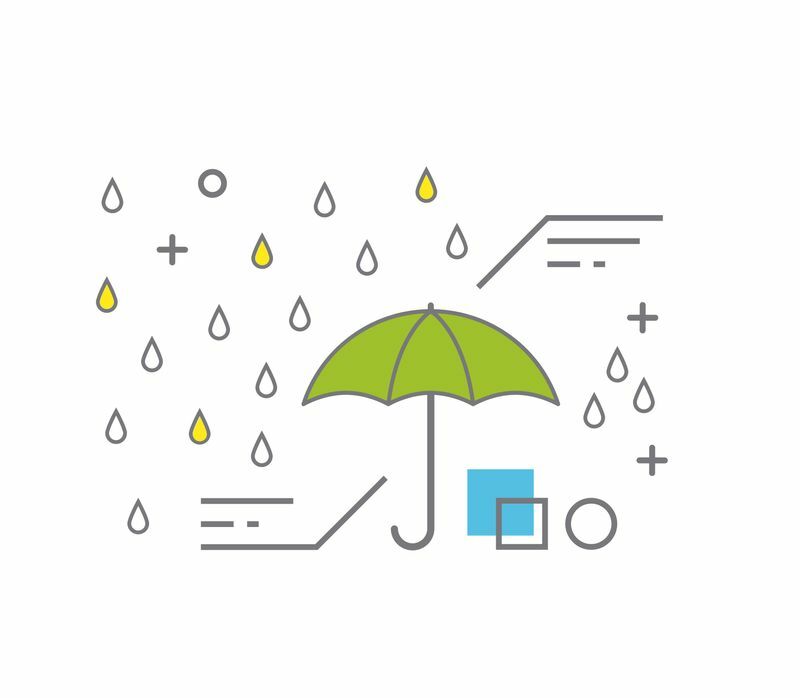 Even if 1.3 inches of rain doesn’t sound like much, it is one quarter of the annual rainfall in Las Vegas. And when that rain arrives all at once on the first day of CES when 180,000 guests are on the move, it creates a mess. And if you forget to plan for rain (after all, it had been 116 days since the last rain in Las Vegas) like the team that built the Google House (Sparks), then you are shut down for the day. The rest of us suffered through with damp shoes. 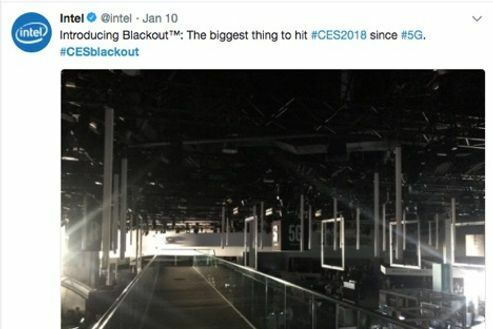 And if you think about the one other thing that everyone at CES needs, it is electricity. When the power went out at the Central Hall of the Convention Center for two hours on the second day of the show, it was also a mess. The hall had to be evacuated, and when the power came back, a lot of exhibits had to be reprogrammed and recalibrated. Many were out of commission for hours. 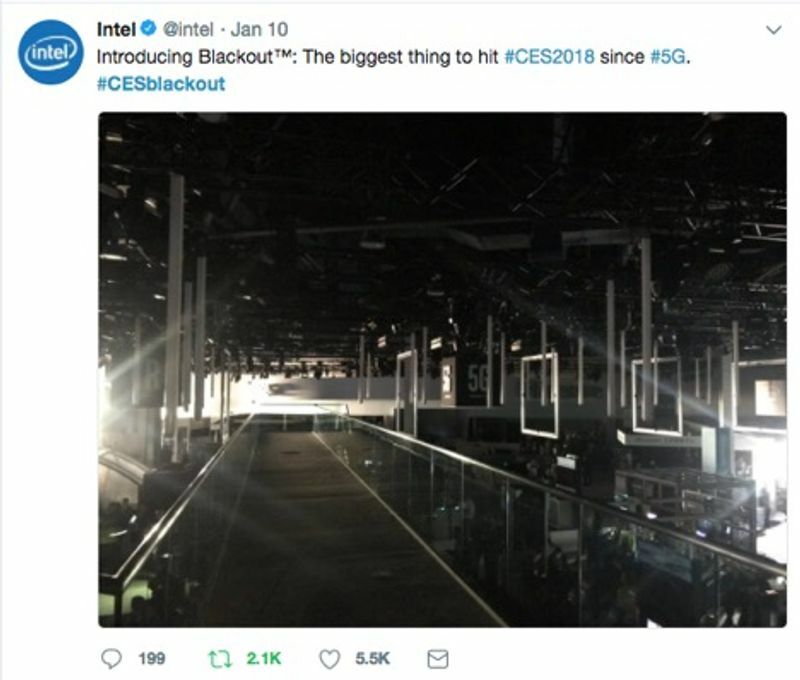 Twitter had a blast with it, the hashtag #CESblackout was the trending #1. Many of the exhibiting brands were able to laugh at themselves. 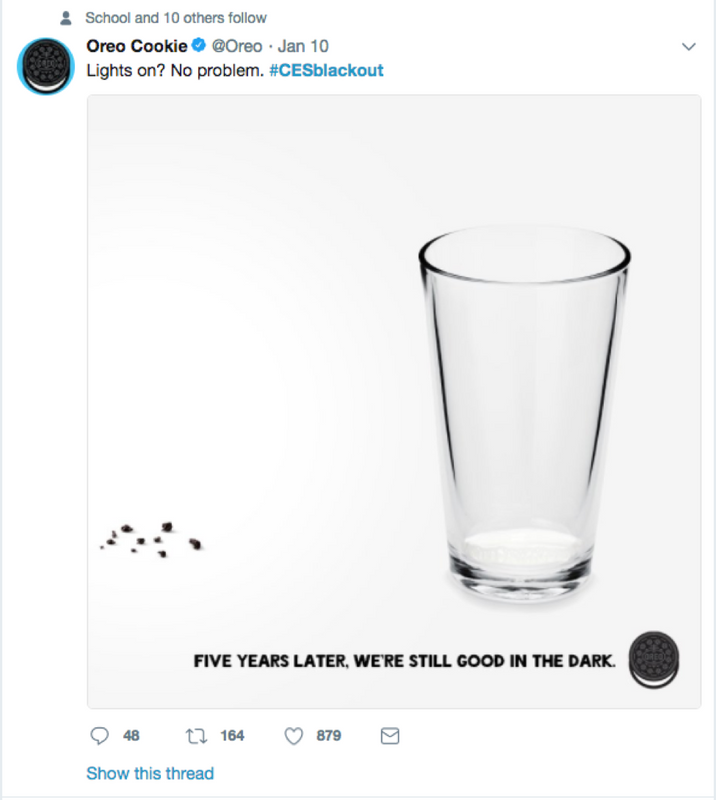 And the Oreo brand was ready with another hilarious post. 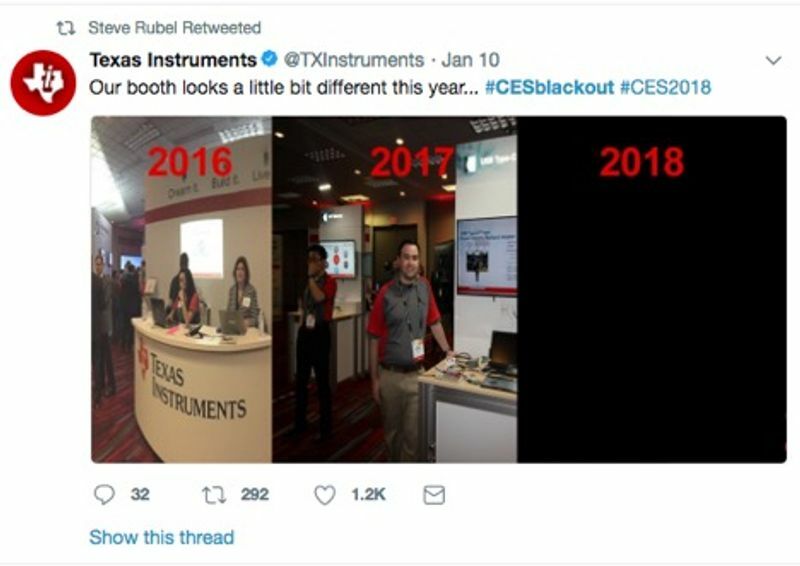 However, many posters used the moment to point out that while we were complaining of trade-show inconvenience, the island of Puerto Rico is still more than 50% without power five months after the hurricane. It was a great reminder that for all our advanced technology, we still need solid infrastructure to function. 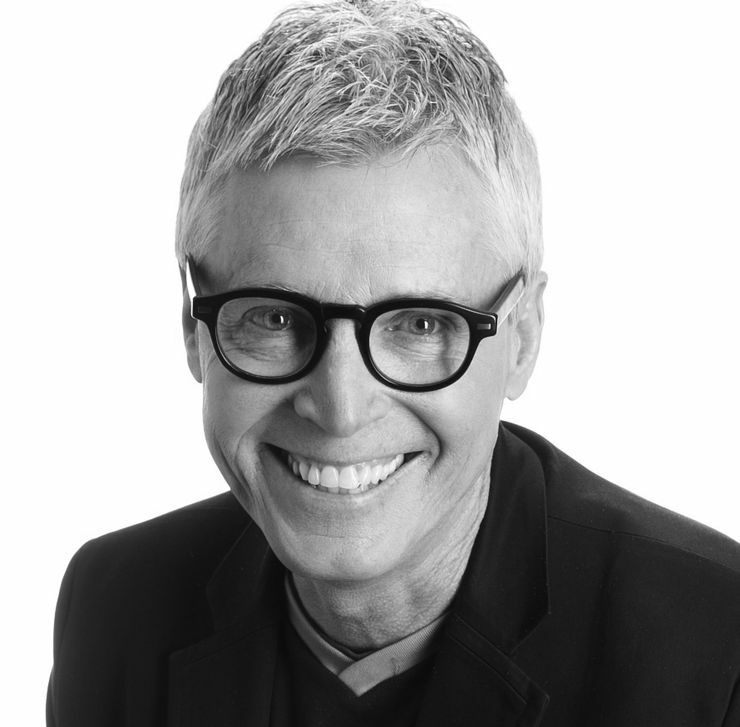 Mark Mullen is an experienced marketing strategist whose career has been spent developing innovative ways to deliver branded engagement. Mark has delivered integrated marketing strategy solutions for Cisco, EA, Intel, Palm, Nintendo and Live Nation. Designing and delivering business aligned, branded experiences, which can be broadly deployed across locations and devices has become a core requirement for business success. Mark’s role is to lead the initiative and create a framework that will focus on the million tiny details to deliver cost containment and true business value– and to make sure we have a few laughs along the way.